Look at the fabulous new hat form my friend Jen gave me! Her brother found it in her grandmother’s basement. Apparently, Jen’s great grandmother was a milliner and this may have been hers. Anyway, it is shiny and ceramic and I love it, no matter who owned it before, but I do hope it was a historic milliner. I have decided to go Christmas, so I am only going to knit with red, white and green until then. 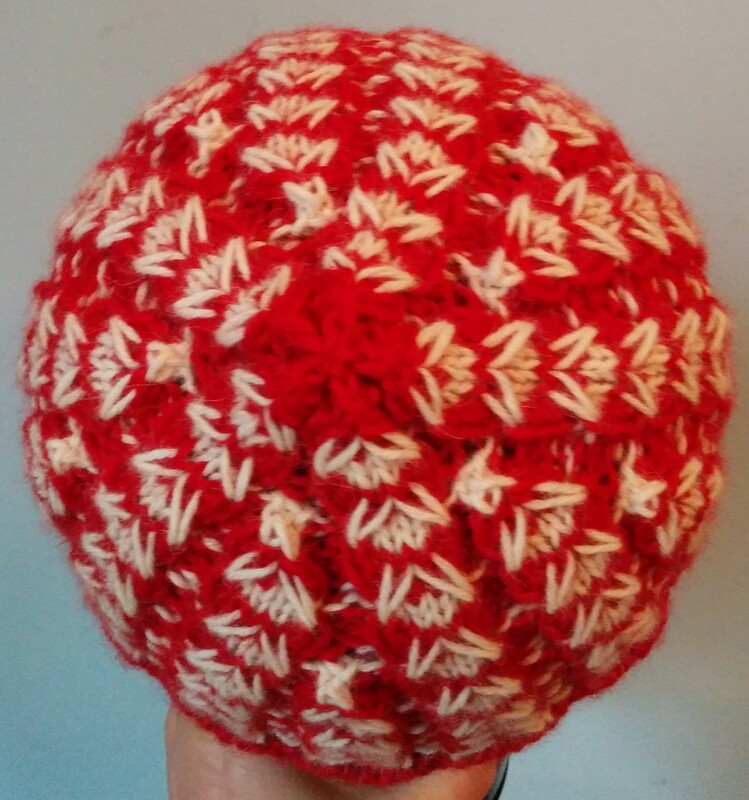 I saved the last balls of red and white alpaca for this hat and have purchased some Cascade 220 Superwash in each of the colours to continue with. I am going to put the rest of the alpaca on hold until after Christmas. Everyone at the knitting guild seems hepped up on fancy cast on and offs these days so I got a book from the library by Leslie Ann Bestor called Cast On Bind Off and used her two-color braided cast on. I think the alpaca may be too fine to show this cast on to full advantage, but I had already cast on twice so I left it. I cast on 120 stitches again then did four rows of red garter stitch followed by two plain white rows before starting the pattern. I used Two-Color Cable Rib, pg 70 for the main part of the hat. 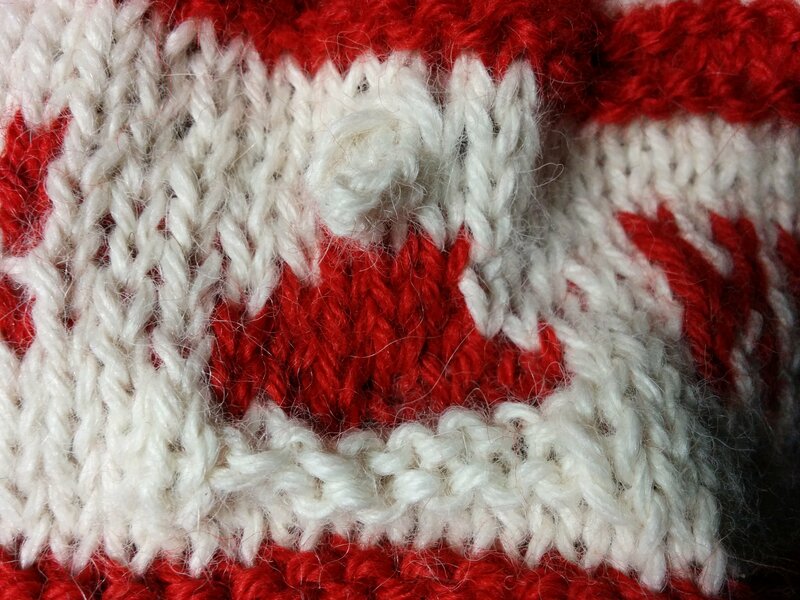 This pattern has an 8 stitch repeat, so there were 15 cables. I got rid of 5 of them first, did two full repeats, then got rid of 5 more, did two and got rid of the rest. 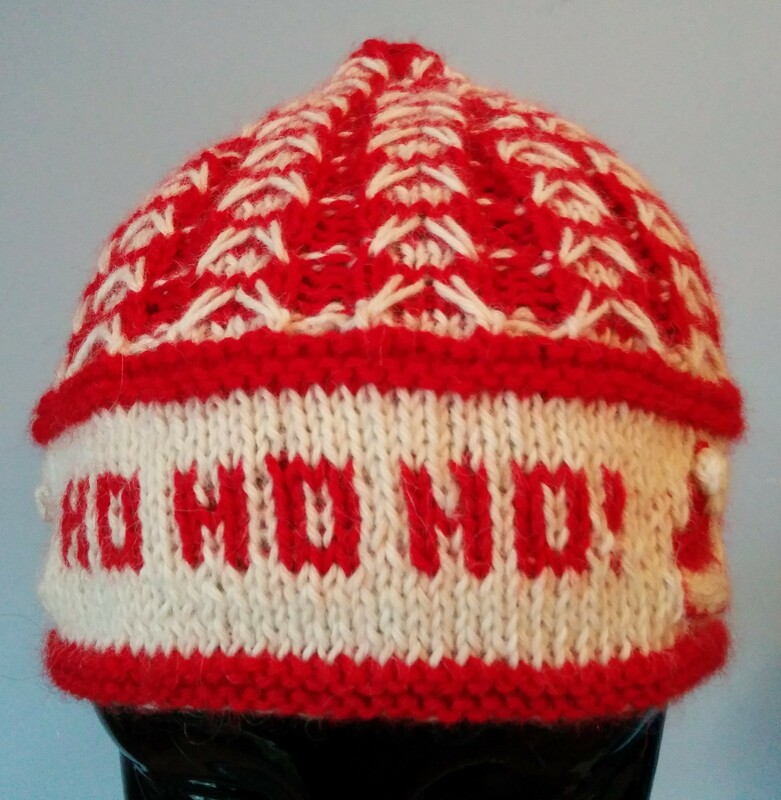 I had knitted the Santa hats into the decorative band, but I felt that they weren’t standing out as much as I would like, so I outlined them in red. 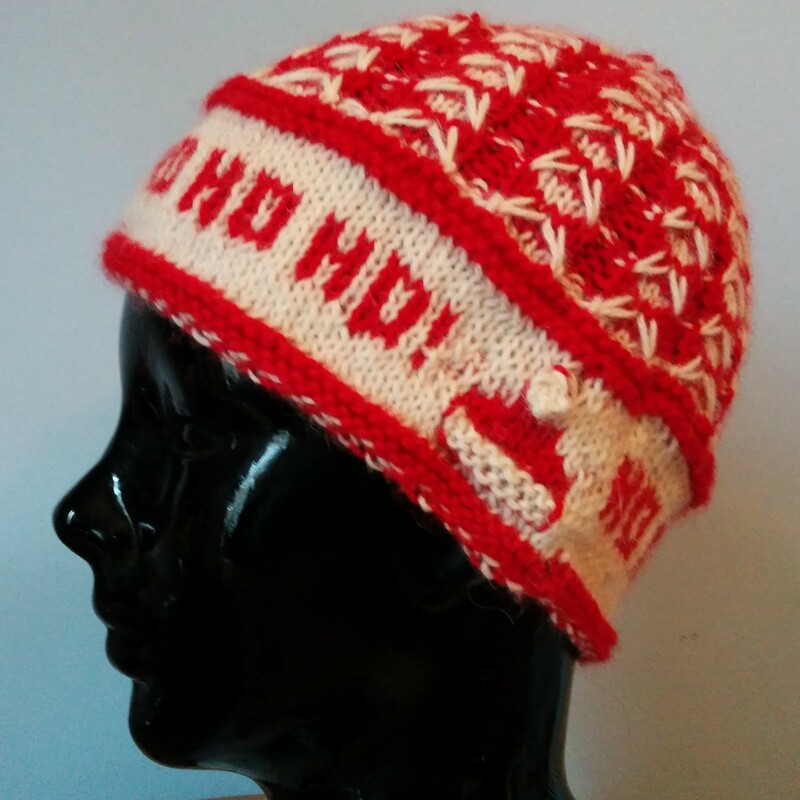 This entry was posted in Barbara Walker and tagged A Treasury of Knitting Patterns, Barbara Walker, Cast On Bind Off, Christmas hat, Indiecita DK baby alpaca, knitted hat on December 5, 2015 by gillianknitter. It’s like an advent calendar, with hats! Love it!